With better accountability and transparency, we’re able to explore new opportunities. We are in a much better decision-making position to manage through the year and position ourselves for multiyear planning. To best meet its mission of its life-saving research, the Leukemia and Lymphoma Society (LLS) is committed to organizational pillars of collaboration, openness, accountability, and transparency. One key way these goals are being met is by establishing an enhanced focus on FP&A. LLS deployed the Adaptive Insights Business Planning Cloud to over 400 managers and employees to make corporate performance a central responsibility shared by everyone. The Leukemia & Lymphoma Society (LLS) is the world’s largest voluntary health agency dedicated to blood cancer. The LLS mission: Cure leukemia, lymphoma, Hodgkin's disease and myeloma, and improve the quality of life of patients and their families. LLS funds lifesaving research around the world, provides free information and support services, and is the voice for all blood cancer patients seeking access to quality, affordable, coordinated care. To sustain these important efforts now and into the future, LLS is committed to a culture of collaboration, openness, accountability, and transparency. One key way these goals are being met is by establishing an enhanced focus on FP&A and taking advantage of a full-featured FP&A cloud-based system. Not only does the solution support the finance department and executive decision-makers, but today more than 400 LLS managers and employees regularly access the FP&A system, making corporate performance a responsibility shared by everyone. This provides line of sight into performance across the organization, enabling a deeper level of analysis and ultimately helping maximize the funds raised by volunteers and partnerships being applied toward mission-critical activities. Nathan Taylor, vice president, FP&A at LLS, is working to drive the FP&A transformation effort. Streamlining budgeting, forecasting, and financial reporting using the Adaptive Insights Business Planning Cloud allows for value-added time for generating insights that support executive decision-making. On a monthly basis, all 64 LLS chapters across the U.S. and Canada update rolling forecasts for monitoring cash flow, and on a daily basis, chapter leaders access the system to see transactional-level details, variances, and overall fundraising campaign performances. "It's very important that we have a user-friendly tool that can be used by our organization. With a constant focus to delivering and funding the mission, staff need an easy-to-access tool that provides the right information when it is needed," said Taylor. "It allows people to get their jobs done efficiently and have confidence behind the numbers." Drawing upon Taylor's 10 years in the for-profit world, the finance team understood that to achieve collaboration, accountability, and transparency, it was critical for LLS leaders to adopt the right modern systems. First, LLS implemented a new cloud-based enterprise resource planning (ERP) system from NetSuite and then adopted Adaptive Insights for collaborative cloud-based planning, reporting, and analysis that integrates with the ERP system. In the past, the work required to budget and forecast across the organization on a regular basis allowed little time for meaningful analysis and review. Now, with Adaptive Insights the team can easily analyze a multidimensional view of the organization's operational and financial performance to gain insights on chapter-level cash flow, campaign-specific returns, and donor contribution metrics. 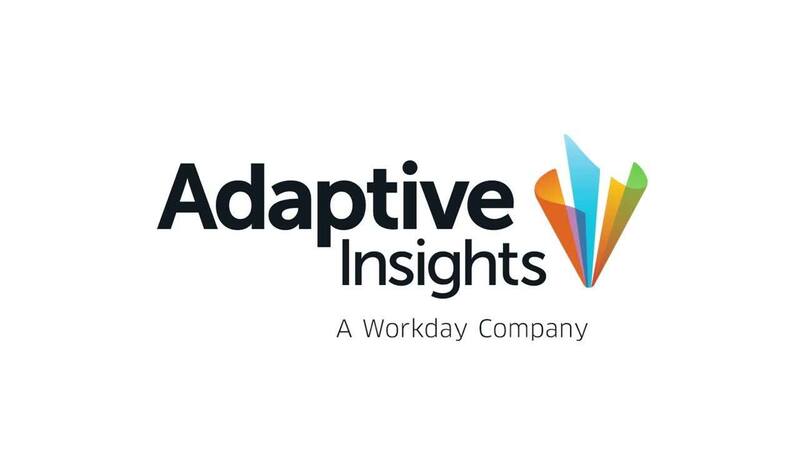 In addition, Adaptive Insights easily accommodates flexible reporting across all segments of the organization. For monthly reporting, the team uses OfficeConnect to instantly update management reporting in the Microsoft Office suite. A monthly workbook can be refreshed daily to compare actuals and forecasts for every LLS chapter. Results can be refreshed with one click for the CFO, with the ability to drill down on any data point to further understand the transaction-level details involved. Taylor appreciates that the solution offers scalability and tools that have been embraced by employees and managers to enable everyone to work collaboratively, track performance, better monitor fundraising results, and think strategically. "With better accountability and transparency, we're able to explore new opportunities. We are in a much better decision-making position to manage through the year and position ourselves for multiyear planning," said Taylor. "We have the financial insights to work with management and say yes more often, instead of saying no." We have the financial insights to work with management and say yes more often, instead of saying no.